The cinema lovers will choose this restaurant for the history. The legend tells this is where Pasolini ate his last supperbe forehe died. 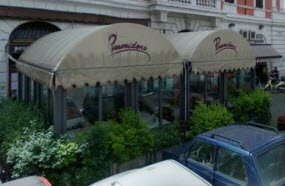 True or not, the legend remains, and although not famous among tourists, the Pommidorois one of the be loved restaurants by the Romans. The staff is helpful and you get the chance to chat with the owner when paying the check.But beaware that might not be able to speak English, so grab a dictionary before ordering! Food: The food is typical Roman and they are famous for the Spaghetti alla Carbonara. If you want to cut the carbs, there are plenty of other options! You may need a reservation for this one because the place is small and famous. The restaurant is runned by a family and the fourth generations is in charge. They prepare the dishes that they are known for by themselves, totally detail-oriented. Do not expect fancy food here! The traditional Italian cuisine is served, but at its best for mand taste. Food: Beef, pork and fish are served in the Italian way as a maindish, but soups and salads can open the meal. They are proud of their desserts, prepared by the daughter of the owner. Ask someone for help with the wine and wait for the show. You do not need to eat a heavy meal to feel like a local in Italy. 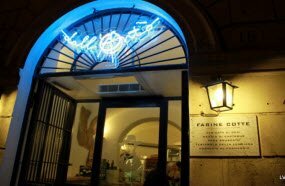 There is a place where food is traditional and good, but also different: Dall’Antò. Created by AntonioMenconi, the restaurant is a project to help the small farmers in ItalyandoffersthreetypicaldishesofTuscanyandLiguria. The foodgoesbeyondthetraditional pastas and pizzas, and can be eaten as a light lunch or an afternoon snack. If you are a bread enthusiastic, order a piece of one of the huge loafs they bake in the house. Different sauces increment the taste and texture of the serustic delicacies, including chickpea, chestnut, oliveoil, fresh cheese, basil, ricotta cheese and many more. Food: Farinata, necci and testatrolo are the names of the restaurant specialties. These kind of pancakes are made from organic flour and everything comes from farmers of the regions these dishes are original from. 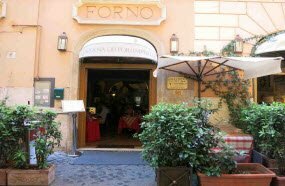 If you are will ing to get off the beaten path to eat some fancy Roman cuisine, this placeis for you. Wepromise it will be worth the walk/ride with the subway/paying a taxi. Located far from the city center, this restaurant is huge, but chances are it will still be crowded. Romans just love this restaurant! There are two floors, dining rooms inside and outside, and everything is carved into a hill. 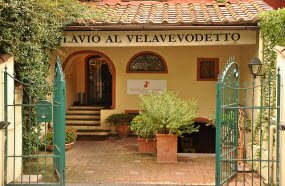 Food: Traditional Italian food is what you will get, but everything is home made and they are proud of their pasta and wine from the house. Our recommendation: Raviolo al la Velavevodetto. Home made pasta with ricotta cheese, basil, Roman mint, thyme, oregano and marjoram, cold creaming with ricotta salad. Sounds yummy, right? This Irish pub has everything a good pub must have: good beer, a superb atmosphere, food, live music and a big TV to watch some football. The mood is genuinely Irish and the staff will be glad to assist you in English, which is not common in Italy. The karaoke night is a hit, so be prepared to find a full pub. Were commend you to try some singing after a few beers. You won’t regret it! 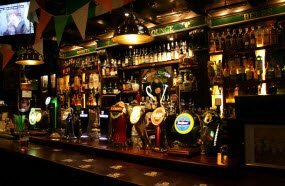 Special drinks: There are many types of beer, but they are praised for their Guinness. Not in the mood for beer? No problem! They also offer 250 types of whiskey. 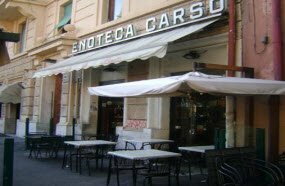 The bar is a former auto mechanic (the name means “breaks and couplings” in Italian), there fore the thematic decoration. 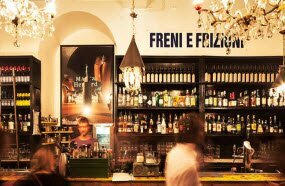 Although the place’s fame has been growing among tourists, it is still a truly Italian bar, dedicated especially to the local young people. You may feell ike you’re in New York or Berlin here, but the view to the Tiberriver will remember you that you’re still in Rome. Special drinks: Feeling like a sinner? Order the Cristian's passion: vodka, lemon juice, St. Germain, strawberry puré and a fresh passion fruit on top! Ready to runaway from the tourists? Be prepared to go far! But we promise to guide to the best wine bar in town. Here you will find a nun believable amount of wine types and you may be lost in the menu. Ask Benito, the owner, to save you and he will open any bottle for you – even if you want only one glass. Hungry? The aperitivo buffet served in the evenings won’t let you get too drunk, but there are real meals in the lunchtime. Special drinks: Wines, winesand more wines! The best Italian ones. Who needs more than that? !